Are you THAT pushy sports parent? Here's how to NOT be one. 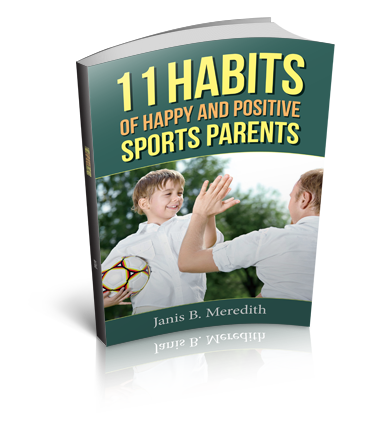 You are here: Home / coaches / Are You THAT Pushy Sports Parent? 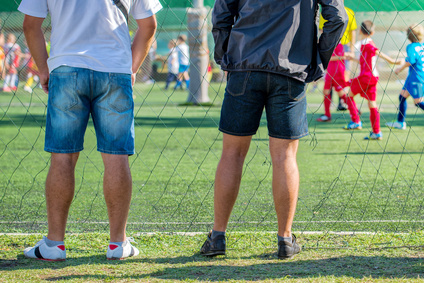 Are You THAT Pushy Sports Parent? No mom or dad that I know really wants to be known as a PUSHY sports parent. But at the same time, parents sometimes let their “encouragement” turn into pushiness, without realizing it or even wanting it. Sometimes parental pushiness is blatant; you see it come out as parents coach their kids from the sidelines, after the game walking to the car, or in the car on the ride home. 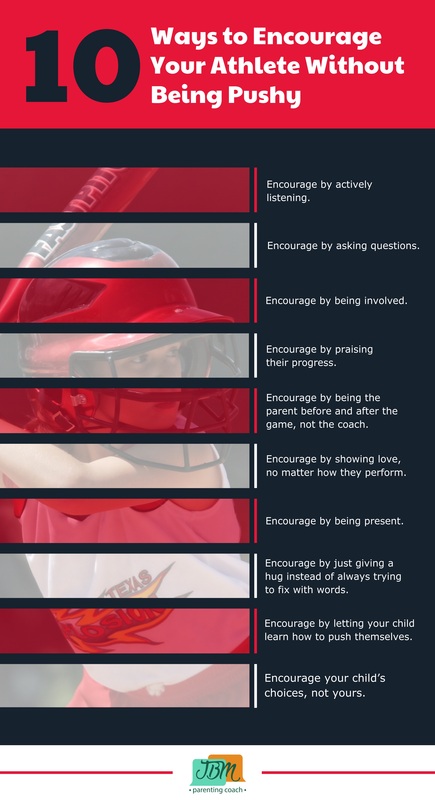 Parents who are blatantly pushy may think that they are “encouraging” their young athletes, but in reality, they are only making noise that their kids may hear, but are not taking in or that their kids are simply tuning out. Sometimes parental pushiness is more subtle; it’s masked in the suggestions you consistently make that your child practice more, in the comparisons you make to other athletes on the team or to siblings, or in the back-to-back-to-back clinics and camps you sign your child up for without asking them. Whether you are blatantly pushy or subtly push, I understand that your real desire is to help your child. You are only trying to encourage your child to do their best so that they can reach their potential. Your motivation may very well be to help your child succeed, but your parenting approach is not really working. Adapted from an article I wrote for TeamSnap. My friends at Vennage came up with this graphic that summarizes the article. If you struggle with being pushy and want some help to encourage your athlete to work hard, I would like to help. I’m a parenting coach. I’d love to give you a free 30-minute introductory coaching session. Click here to learn more.